As you most likely know already, we’re 3 weeks away from World of Warcraft’s 7th expansion – Battle for Azeroth, which is scheduled to be launched on August 14. Having that said, we’ve decided to put together a bunch of what we deem to be the best BfA tips and tricks we could find or read, in one place, so you don’t have to spend time researching this as we get closer to the expansion! Now that the pre-patch went live, and you no longer have to focus on running Mage Tower challenges for all of your alts or offspecs, you can finally have the time to clean your bags and bank, and prepare for BfA! So, let’s get right to it! On average, each leveling zone (for both factions), should take about 2 hours and 30 minutes. For an extra 10% XP bonus, you can choose to quest with your War Mode enabled, at least during the first day of the expansion, as you’re most likely not going to encounter any members of the opposite faction just yet. When you reach a zone’s end, and thus its dungeon quests, it’s recommended that you queue up for them, as they reward a lot of experience, and it’ll also help in the long run. Although obvious, but to have the lowest queue times possible, it’s recommended you sign up as a tank or healer, or at least have a friend that can fill those roles. As you’re leveling in BfA, you’re bound to get a lot of green, blue and even some epic items, just like in any other expansion. Although we’d previously used to vendor them, in BfA you should be saving these in order to salvage them, which will give you materials and Expulsum, which is the counterpart for Legion’s Blood of Sargeras. Enchanters however, can choose to disenchant them. Legion legendary items will be disabled once you reach level 116. On top of that, as you level up from here, all Legion consumables will gradually start to lose their efficiency. In BfA, you can travel by flight path or boat. You should constantly be on the lookout for boat points on the map, should the location you want to reach is too far away, or a flight path isn’t anywhere near it. As Alliance, you can choose to ignore the quest Best in Show, from Lord Aldrius Norwington in Tiragarde Sound, as it can take quite a bit of time to complete, and you’re bound to fail it at least a few times before getting the hang of it. While on the leveling in BfA subject, it’s worth mentioning that historically, especially during expansion launches, players have constantly found clever ways of leveling up through unintended means, such as mob tagging, bugged repeatable quests or even NPCs that spawn right away instantly. If you plan to take the 120 level as fast as possible, we recommend using the Azeroth Auto Pilot addon which will significantly speed up the leveling, but you should understand that completing the quests for this addon will skip some of the “ineffective” quests! Theasure chests award you only with resources, you’ll need 100 to start the first quest of War Campaign quest chain, you don’t need to get more resources after. Get them at lvl 120 if you need. Rares don’t provide you with XP or resources. Skipping them is advisable. Although this is somewhat of a grey area, it’s recommended that you ignore such options should you find them, as they can potentially lead to getting banned, or at least suspended, along with getting your character rolled back. If this somehow does happen to you though, especially during the madness of the expansion release where there’s a lot of room for error, you can always look at a WoW unban service for help, since this is not the most malicious violation, the competent communication with the support service is the key to the successful return of your account. Content in BfA will gradually get unlocked as you level up. This way, the game prevents you from getting swarmed with chores just yet, and constantly offers you different things to do. At about level 112, you’ll receive a quest to complete the other faction’s zones, in order to start your War Campaign (Alliance / Horde), this is a very important and necessary new aspect of the game that will allow you to unlock 2 new dungeons, unlock the orcs of the mag’har and the dwarves of the Black Iron . Also this will save you a lot of time and hassle later on, despite the higher iLvl gear you’ll be receiving later on if you choose to wait. At level 115, after a short quest chain and progressing in the above-mentioned War Campaign, you’ll unlock Island Expeditions (Island Expeditions are special 3-player scenarios introduced in Battle For Azeroth. The goal of an Island Expedition is simple, to obtain Azerite found on an uncharted Island). At level 120, once you reach Friendly reputation with all the three new factions, you’ll unlock World Quests, similar to Legion. At level 120, after a relatively short quest chain, you’ll unlock Warfronts. Just like in Legion, BfA will also benefit from a lot of ways to gear up. Ranging from random world drops, to world quests / emissaries, dungeons, warfronts and world bosses, the chance of not replacing each and every item from Legion a few days after you reached level 120 is extremely low. As a note, you shouldn’t focus on optimizing your gear or going out of your way to try and get better items before you reach level 120, as you’ll be replacing those very fast after getting to level cap. That being said, let’s see how to gear up in BfA once you reach level 120! Once you’ve unlocked the World Quests, at level 120, make sure to go and do them all, or at least those that offer gear rewards (starting at 280+ iLvl). The iLvl of World Quests rewards increases the better geared your character is. When doing World Quests, you should also finish each zone’s Emissary quest, which can reward you with a 300+ iLvl item, although just like lately in Legion, gear is no longer a guaranteed drop. Unlike Legion, BFA reputations plays a significant role in gearing your character and progressing on storyline. The most important one is Champions of Azeroth, because a progress with it impoves your neck’s ilvl. 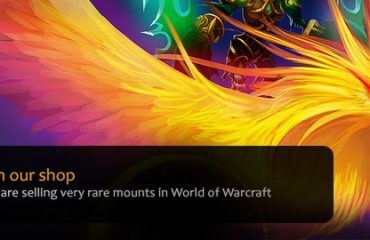 It is the only way to upgrade azerite neck’s ilvl aside from AP world quests. If you’re comfortable with doing dungeons, this is also a great way of gearing up, maybe even the best one at this point. These can help you obtain 310+ iLvl items in Normal mode, 325+ iLvl in Heroic mode and 340+ iLvl in Mythic mode. These are essential for items such as trinkets, which are much better than the ones you could get from World Quests. The dungeons are divided in alliance and horde, meaning, as Alliance, you cannot enter Horde dungeons and vice versa. However, once you hit max level, you can enter all dungeons. Also, one of the first things to do once you reach level 120 in BfA (or maybe even before that, if you find yourself nearby), is to do the World Boss. This can drop gear of 355+ iLvl, and if you’re lucky enough, you’ll be set in that item slot for quite a few weeks. Apart from the above-mentioned most straight-up ways of gearing up in BfA, you can also choose to partake in Expeditions, Warfronts and Conquests. It is also worth mentioning that once you hit Revered with the BfA factions, you can check their Quartermaster for some 340+ iLvl items for sale, as well as 355+ iLvl once you reach Exalted. 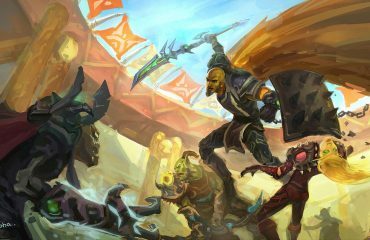 All in all, these would be the best BfA tips and tricks we managed to test or read about, and laid here for you to read and take into account before the expansion goes live. We hope that this information will be useful for you and will allow you to save a lot of time and also optimize your powerleveling in BfA.